Computed Tomography, or CT Scanning, allows our radiologists to view thin cross-sections of the internal anatomy using the latest in spiral scanning techniques. Spiral, also called Helical CT, combines x-rays and sophisticated computers to produce detailed images of the brain, spine, chest abdomen and pelvis. The presence and extent of disease and the effects of certain traumatic events can thus be identified. 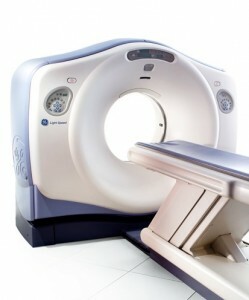 CT scanning is also helpful in the evaluation of certain musculoskeletal disorders. 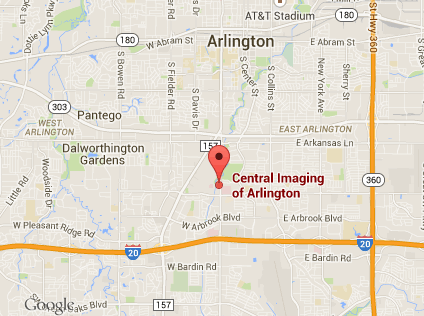 Central Imaging of Arlington uses the GE LightSpeed 16 Slice CT with low dose software capabilities. Central Imaging of Arlington was also one of the first full service free standing imaging centers in north Texas to receive full practice accreditation by Joint Commission on Accreditation of Health Care Organizations. We are also accredited by the American Academy of Pain Management.